We are just starting to see little inklings of change between summer and autumn, including this small mushroom I spotted on a walk through the woods this past weekend. Hints of the season to come are everywhere, from the smell in the air, to the slight change of color in some of the highest leaves in some maple trees. Beautiful. 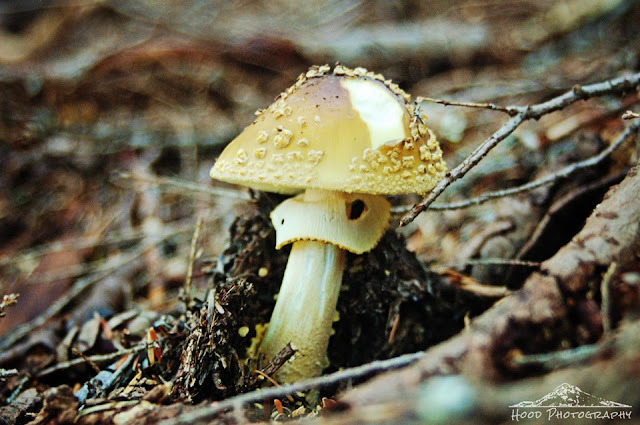 We often talk about foraging for mushrooms but tend to err on the side of caution fearing being poisoned. We are just beginning to see an inkling or two here also. But the thermometer is still registering 100F, so there is some Indian Summer left. nice looking one. is this edible? You're so right. We're seeing and feeling the change here, too. The light changes slightly along with the shadows and spider webs are appearing everywhere, shimmering in the sunlight. Some trees are starting to fade and drop their leaves and it's cooler in the evening, which comes earlier. Great post. Wonderful photo! Looking forward to the changes. I love autumn. Captures the mysterious mushroom nicely. There are inklings here too, cooler days and just a touch of brown on the occasion branch and bracken. ahh yes and so it begins... beautiful! Inkling is a good word for it and I love the photo.. I am just not ready yet...love fall color.. but not yet.. Thank you for linking in Sarah.. Michelle from Nature Notes..